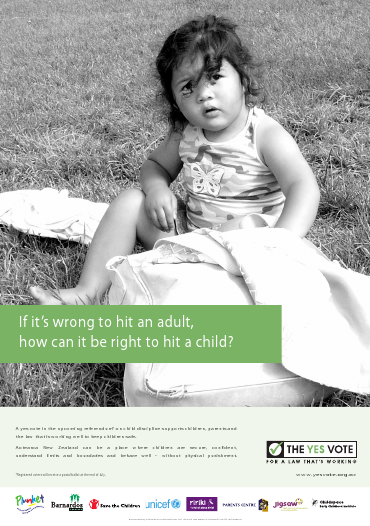 If it’s wrong to hit an adult, how can it be right to hit a child? 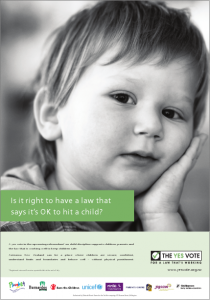 Is it right to have a law that says it’s OK to hit a child? If it’s wrong to hit an adult, how can it be right to hit a child? 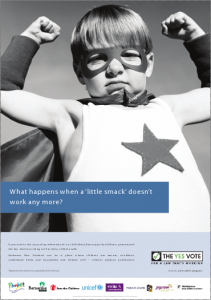 What happens when a little smack doesn’t work anymore? 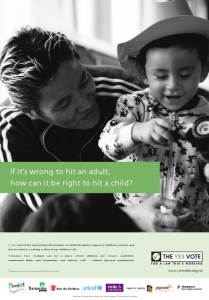 There are better ways to manage kids’ behaviour than hitting them. 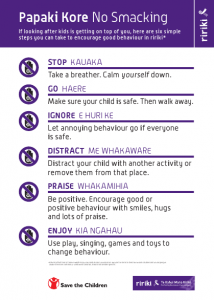 This friendly poster gives you tools to help you when the going gets tough. 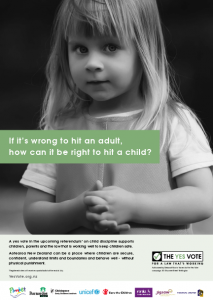 The key messages from the campaign on one A4 page. Download it, print off copies, and post them far and wide! 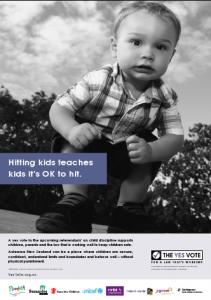 Perfect for waiting rooms, public billboards, and distributing at meetings.